Jenny Strangebeard and company, by the great Matt Nelson! I had originally posted this weeks ago, but I didn’t want to interrupt the flow of the story so I moved it to the end of the chapter. 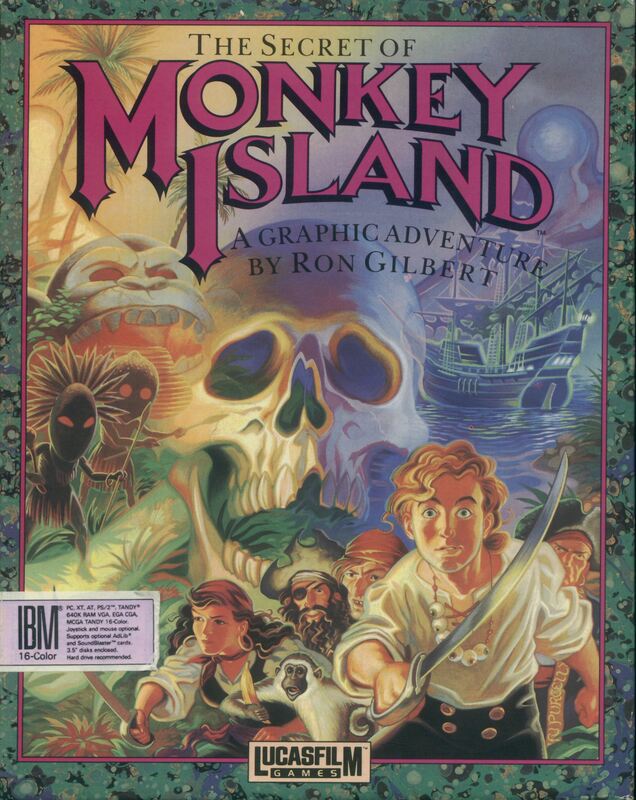 Matt’s pinup is an homage to the box art of The Secret of Monkey Island, the greatest pirate game of all time and a mutual love of ours. Matt himself does a piratical webcomic called Catbeard the Pirate (linked at the side!) that I wholeheartedly recommend. Volume 2: Yardarms and Yarn Balls was just successfully Kickstarted; I have a copy of it and it’s quite marvelous. Some really nicely-executed twists and double-crosses, and great sea monsters to boot. Check it out at Catbeard’s Store. And tell ’em Strangebeard sent you!